Nothing improves your home’s curb appeal like a fresh coat of paint. Your home will look newer, well-maintained and more attractive when you take the time to work with one of the Nashville area’s most established house painting companies: Hisway Painting. At Hisway Painting, we specialize in helping homeowners in Nashville, Brentwood and Franklin revitalize tired-looking houses. In addition to making your home’s exterior look better, the right paint can actually protect it from the elements and make it last longer. Our Middle Tennessee exterior painting experts know how to do things the right way from start to finish. We’ll begin by ensuring the entire surface is clean; dirt and debris can ruin a paint job before the first brush touches down. Even if you can’t see it, mildew often grows on exterior paint – and we make sure to remove it so that your new paint will look its best. From there, we’ll remove any peeling, bubbled or blistered paint without damaging the wood or siding beneath. Our exterior painting professionals are always mindful about preserving the surfaces, so you never have to worry about scrapes, scratches or damages to the permanent parts of your home. Like with interior painting, sanding and applying primer (and then sanding again) are almost always necessary. We create an extremely smooth surface – that’s the best way to get a long-lasting, great-looking coat of paint. We’re always careful not to damage your landscaping or drip paint on your plants. We clean up our job site every day because we know you still have to live there throughout the project. 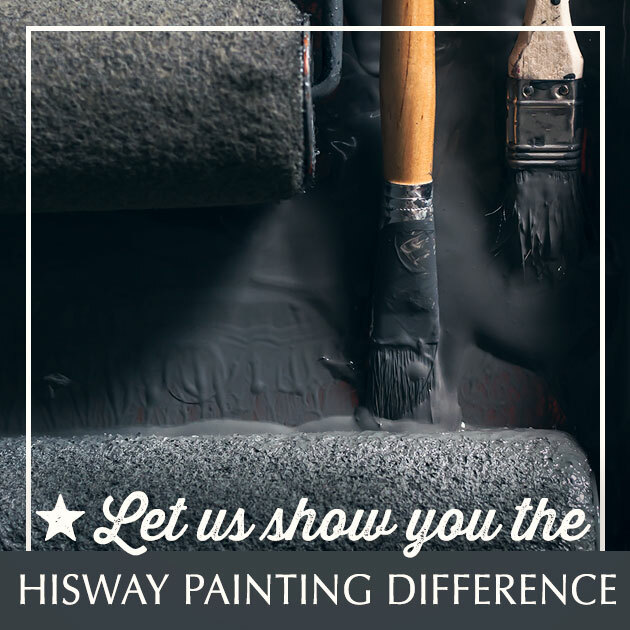 There’s a reason people all over Nashville, Franklin and Brentwood keep working with Hisway Painting. If you’re ready to join the ranks of our extremely satisfied clients, call us at (615) 595-0207 or contact us online. We’ll be happy to give you a FREE ESTIMATE and provide a timeline for the entire project.